It is excusable to not be familiar with The Luxembourg Signal, but it should interest you to know that the band brings together members of Aberdeen, Fonda and Trembling Blue Stars. With members in London and Los Angeles, band practice may be a little tougher to arrange than is normal, but the results crafted by Johnny Joyner, Beth Arzy, Brian Espinosa, Betsy Moyer and Ginny Pitchford are sublime. Distant Drive is but a two-track single consisting of the title track -- which is likely to be on many summer playlists -- and "Wishing Pool". The record is released on April 22 by Shelflife Records as a limited edition 7" vinyl and as a digital copy. 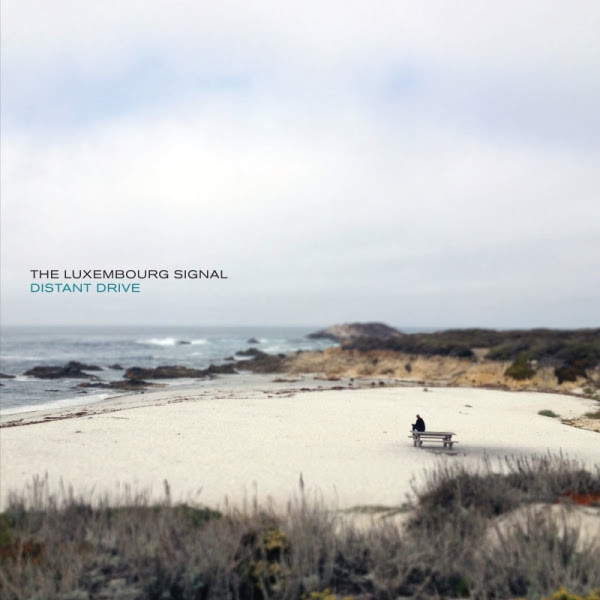 Shelflife will be releasing a full LP for The Luxembourg Signal later this year. The touchstones of dream pop and C86 are evident, but based on the these tracks The Luxembourg Signal is a noisier, more muscular brand of guitar pop than fans of the members' other band might expect -- perhaps more Popguns that Trembling Blue Stars. And once you hear it, you will have no complaints whatsoever. This could well be one of your new favorite bands.